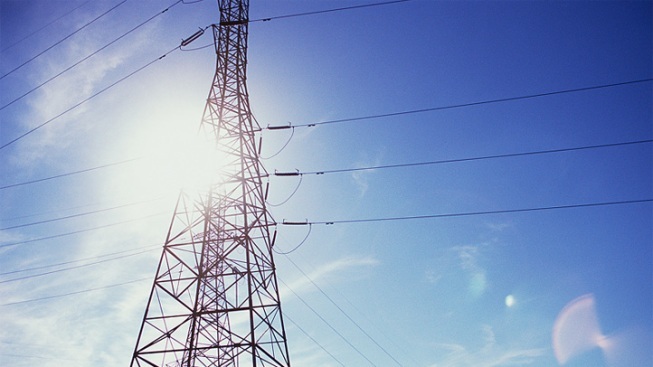 Texas should have sufficient electricity generation to serve peak demands in the fall and winter months, the Electric Reliability Council of Texas says. ERCOT, which operates the power grid that serves most of the state, released its seasonal assessment Tuesday. "As we head into the fall and winter seasons, ERCOT expects to meet systemwide peak demands in a broad range of operating conditions," said Director of System Planning Warren Lasher. "Because weather conditions and resource availability vary widely during these months, actual peak demand conditions could fall in the more extreme scenarios we study for this season." ERCOT bases their seasonal assessment on forecasts and average weather patterns while considering emergency scenarios that include abnormal periods of high demand or outages at generation plants. "We have seen some unusual weather patterns associated with warm ocean temperatures, but I currently expect somewhat average weather this fall, with the possibility of below-normal temperatures and above-normal precipitation in most of the state," said ERCOT Senior Meteorologist Chris Coleman, describing the warm ocean temperatures associated with an El Nino. Normal vs. El Nino average for December to March precipitation. In Texas, an El Nino typically means cooler temperatures in the winter and fall and more precipitation -- if the temperatures are cold enough, that could mean more snow or ice in the winter months. 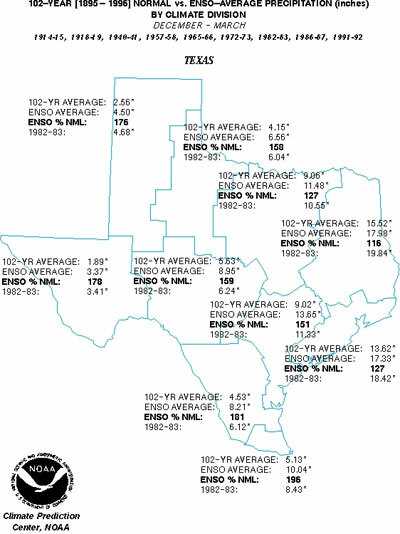 In North Texas, an average of 2.5 inches of rain can be expected from an El Nino event, in other parts of the state, the numbers vary from 2 to 5 inches, according to the National Weather Service. "With more than 77,000 megawatts (MW) of generation available overall, ERCOT expects to be well-prepared for the anticipated peak demand of just under 50,000 MW this fall. One MW of demand is typically enough to power about 500 homes during mild weather conditions and about 200 homes during summer peak demand," ERCOT said in a news release Tuesday. ERCOT added that power plants requiring maintenance are typically taken offline in the fall when demand is lower and that it was common to lose 9,000 MW of generation during maintenance periods. Even during extreme conditions, ERCOT expects to have sufficient capacity to serve customers during times of peak demand. The all-time winter peak demand record of 57,265 MW, set in February 2011, was nearly matched in January 2014. Conditions that occurred during the 2014 weather event are reflected in the extreme scenarios included in the preliminary winter seasonal assessment. A final seasonal assessment will be released Nov. 3.